If you want to know how to get verified on Instagram, you’ve come to the right place. In this guide we’ll tell you how to apply for verification (that’s the easy part) and what you need to qualify (that’s the hard part). Applying only takes a few moments. Step 1: Open the Instagram app and go to your profile. Step 2: Tap the menu icon in the upper right-hand corner. Step 3: Click the “Settings” gear icon at the bottom of your screen. Step 5: Fill in your account name, full name, what you’re “Known As,” and your category (media, influencer, brand, etc.). Then upload a photo of your ID if you’re a person, or a legal or business ID if you have an Instagram for Business account. After reviewing your application, you’ll be notified whether your request is approved or denied. But don’t expect a response right away. There’s not a specified timeline for how long the process takes. So, should you apply? Let’s answer some frequently asked questions. The blue check also helps people avoid imposter accounts and easily find the brands or public figures they want to follow. The coveted blue check wouldn’t be coveted if it was easy to attain. Verification is reserved for accounts that Instagram deems “in the public interest.” More specifically, you must be a public figure, celebrity or global brand. Authentic. Obviously you have to be who you say you are. That is, a real person, registered business, or brand. Unique. Only one account per person or business may be verified, with exceptions of language-specific accounts. Instagram says it does not verify general interest accounts like meme roundups. Public. If you’re looking to get verified, surely your account is already viewable to everyone, yes? Complete. You must have a bio, profile photo, and at least one post. Note: Instagram says your profile must not contain “add me” links to other social media services. Notable. Again, Instagram stresses that verified accounts must “represent a well-known, highly searched for person, brand, or entity.” When it reviews a verification application, Instagram looks at whether the user is featured in multiple news sources. Paid or promotional content doesn’t count. If you can’t get verified, there are other ways to convey the authenticity of your Instagram account—and boost your chances down the road. 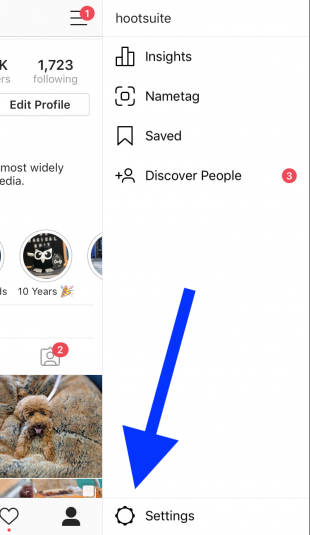 Not only will this help more people find you on Instagram, it will clear up any confusion about which accounts are your official ones. So include a link to your Instagram profile on your other social media channels, website, and any other online profile you maintain. 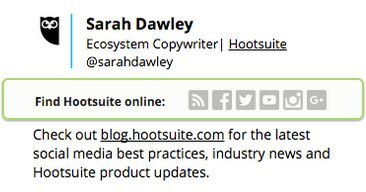 You could also include your Instagram handle in your email signature or newsletter. This will ensure that people who are already in contact with your brand can find you on Instagram. You should also embed your Instagram content in blog posts. That way people that discover your blog via a search engine can connect with you on the ‘gram. And don’t rule out offline communications tools like product packaging, business cards, or signage at an event or store. 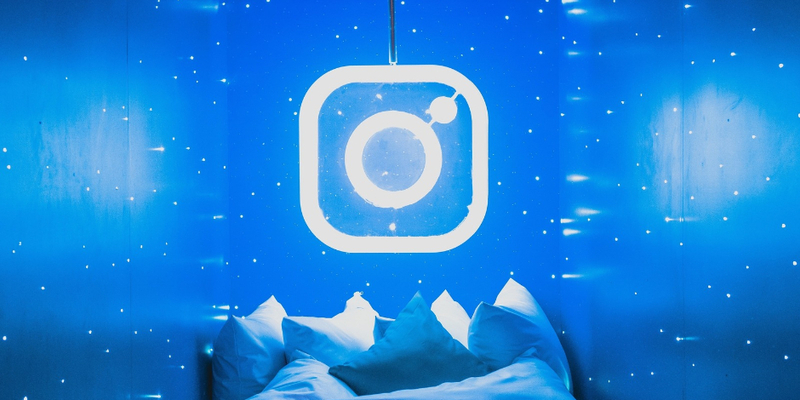 Sixty percent of the top brands on Instagram use the same filter for every post, according to an analysis by WebDam. 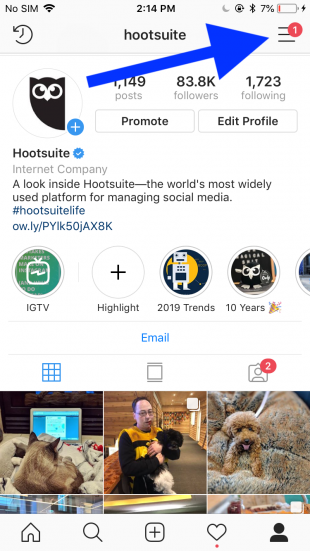 Using the same filter over and over allows you to establish a look on Instagram that’s consistent with your overall branding—which people should recognize from your website and/or products. This will serve as a signal to users that your Instagram account is legit. Same concept as above. Consistent branding—text and visual—makes it easy for your followers on other platforms to find and recognize you on Instagram. It should showcase who you are and what you do, convey personality, include relevant keywords (for better discoverability) and a compelling call-to-action. More Instagram bio ideas and tips here. For example, if you work for a brand that is already verified, include your title and the company’s Instagram handle in your bio. This will boost your credibility. If you’re representing a brand, this should be the company’s logo. Whatever image you choose, make sure it follows Instagram’s recommended dimensions for profile photos: 320 x 320 pixels. It must also be centered so that it works with the circular format. If at first you’re denied verification, take the time to follow the advice above to improve your profile and grow your audience. Once you’ve made the necessary changes and further establish yourself on the platform, there’s no harm in trying again. Ultimately, getting verified will depend on sticking to a winning Instagram strategy and building a dedicated following. Do that, have patience, and it could happen for you.